Poly Pipe PN10 available in 20mm, 25mm and32mm x 200m rolls, 40mm and 50mm x 150m rolls and 63mm, 75mm, 90mm and 110mm x 100m rolls. Poly Pipe PN12.5 available in 20mm, 25mm and32mm x 200m rolls, 40mm and 50mm x 150m rolls and 63mm, 75mm, 90mm and 110mm x 100m rolls. 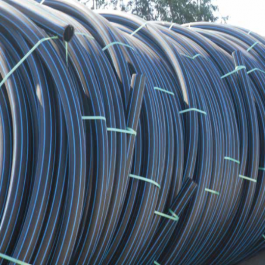 Poly Pipe PN16 available in 20mm, 25mm and32mm x 200m rolls, 40mm and 50mm x 150m rolls and 63mm, 75mm, 90mm and 110mm x 100m rolls.